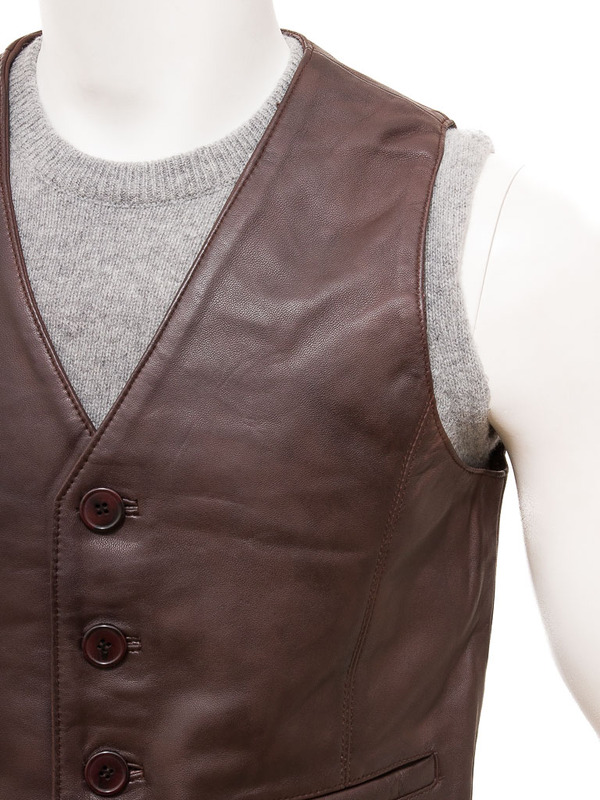 The traditional waistcoat in brown leather. 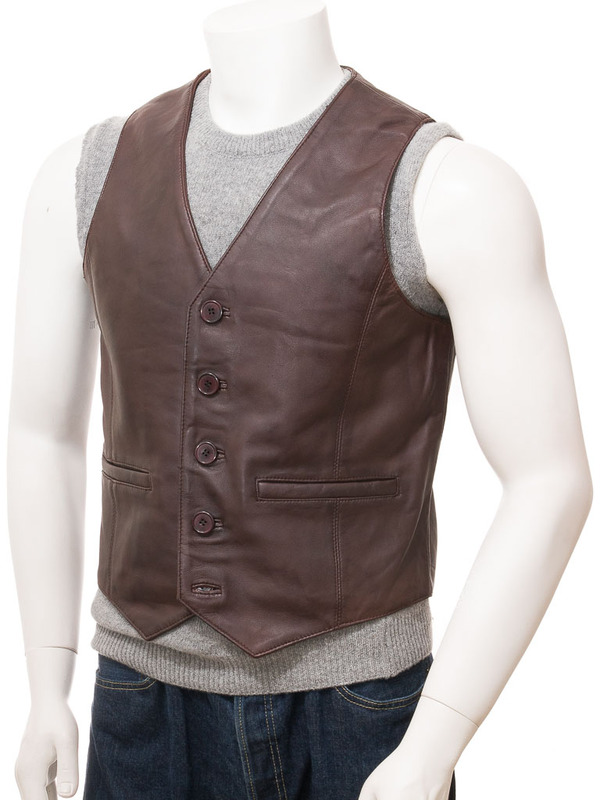 This classic sartorial essential works on so many levels. 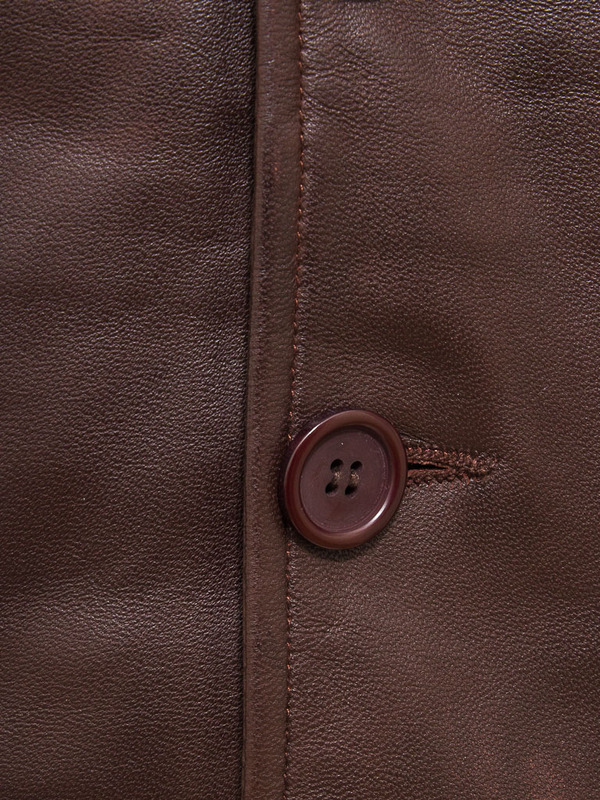 We have used an ultra soft sheep nappa leather for a deeply pigmented colour and a gorgeous smooth handle. The design consists of a single breasted block with five buttons and no lapels. 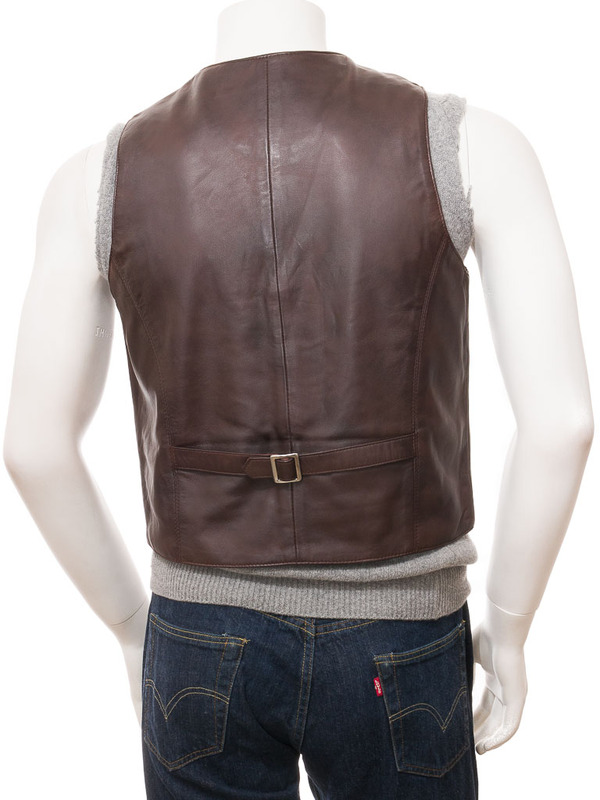 There are two inset pockets at the waist and a buckled waist adjuster at the back.